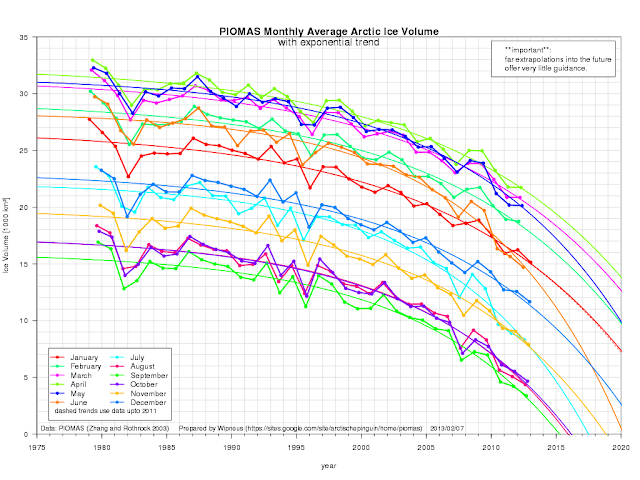 The image below, from the ArctischePinguin site, shows the current volume of Arctic sea ice, updated with PIOMAS data from the Polar Science Center of the University of Washington. 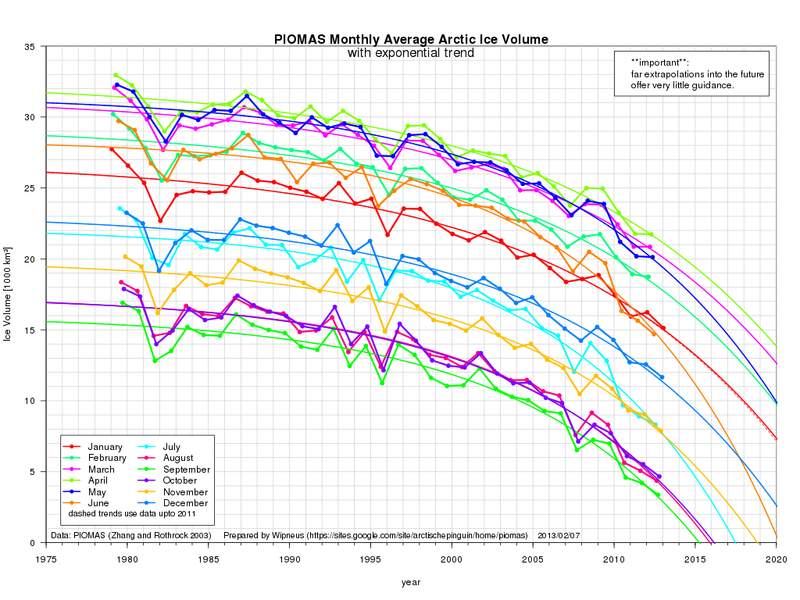 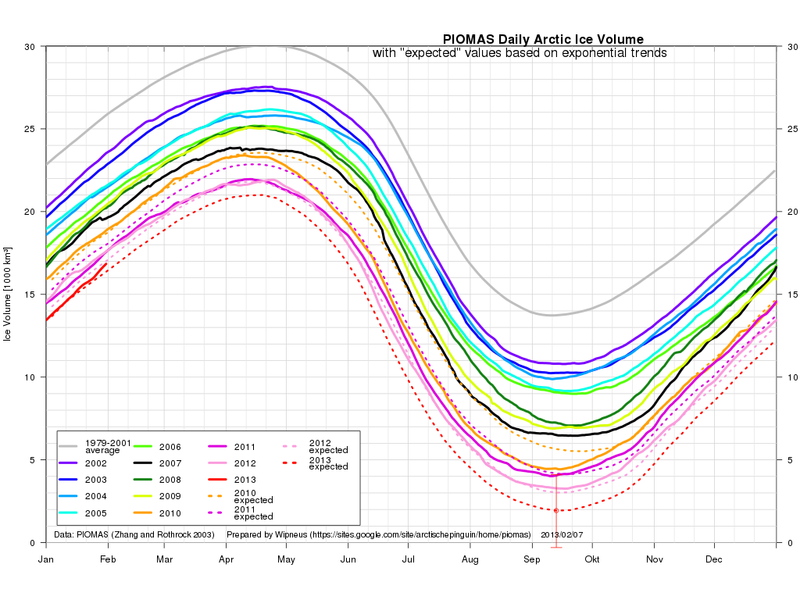 As the above image shows, a minimum volume of 3000 cubic km is expected to be reached in September 2013 (red dotted line), with a margin of error that allows for the sea ice to disappear altogether in a few months time. 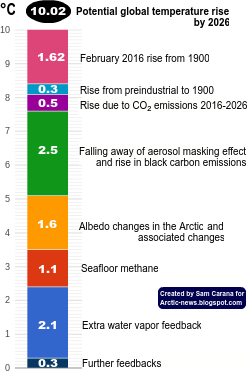 The image below updates the exponential trends for each month. 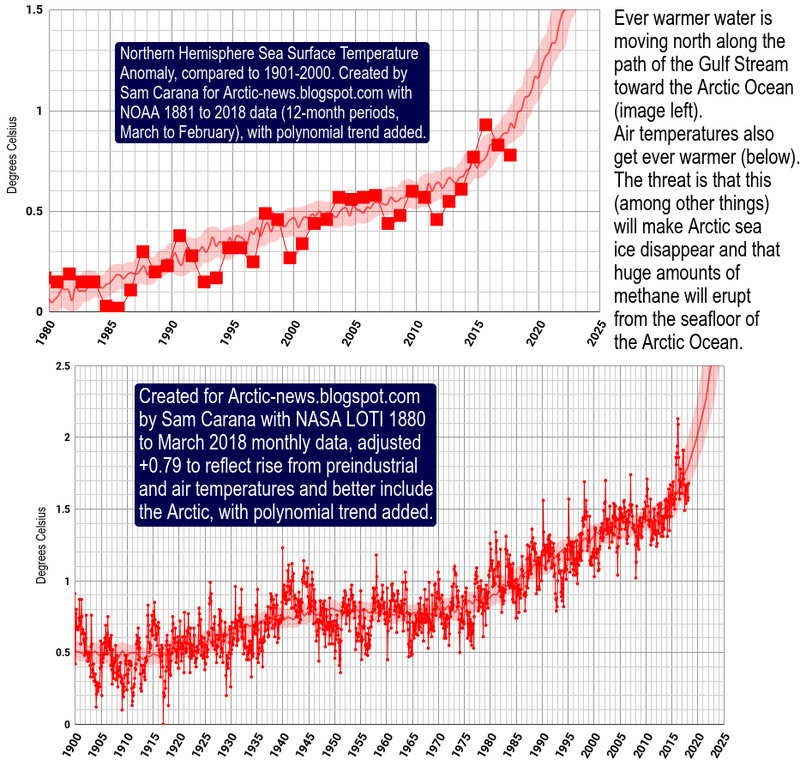 Meanwhile, the National Snow and Ice and Data Center (NSIDC) has started a page with daily updates of the extent of the Greenland melt. The image below pictures the Greenland melt in 2012 on the left, and the situation up to February 6, 2013 on the right.